When it comes to celebrating for holidays with food, sometimes I like to all out. But that doesn’t mean it has to be complicated either. It is amazing what a few touches can do to make a dessert something extra special. 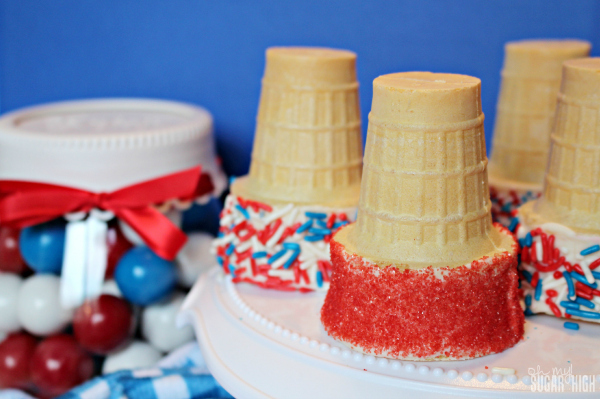 These Patriotic Sprinkle Cones from Christine Leeper are a perfect example of taking something simple and making it special for the 4th of July. 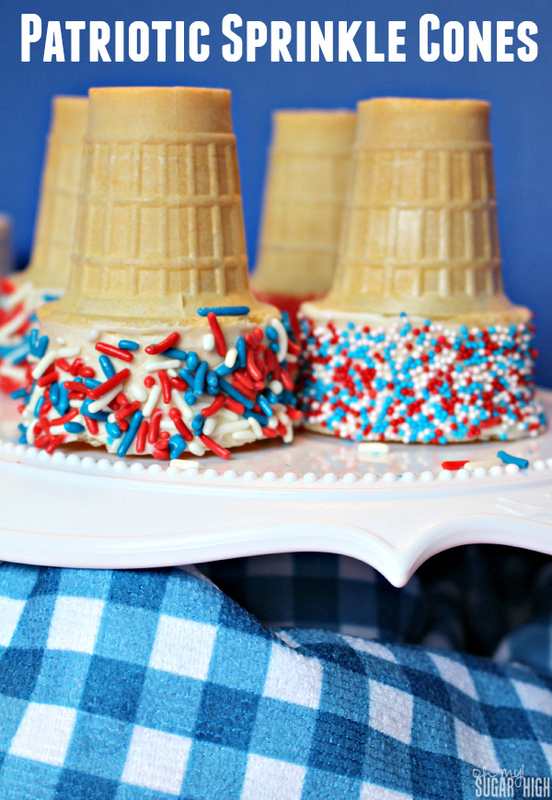 No matter what type of ice cream is served on top of these sprinkle cones, it will immediately look patriotic. With just a little effort, you can take plan sugar cones or cake cones and make them extra fun for kids. Melt 1/4 cup of vanilla almond bark in the microwave for 90 seconds and stir. Spoon melted almond bark around the top of each ice cream cone and immediately cover with sprinkles. Keep in mind, the almond bark cools rather quickly so you may have to reheat the vanilla if you have a lot of cones to decorate. Once it starts to get too cool, the sprinkles won’t stick as well. Consider trying out different styles of colored sugar (sparkling sugar would be extra pretty) or non pareils. Have fun and get the kids involved in making these extra festive red, white and blue ice cream cones for the 4th of July!